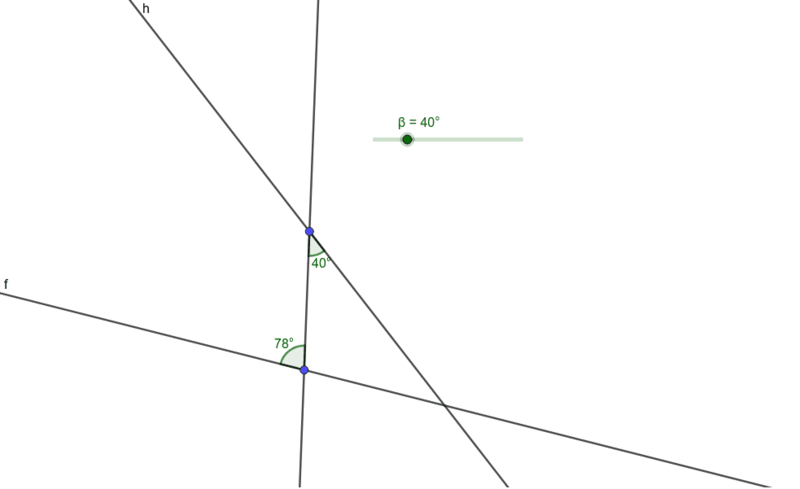 Move the slider so that line g and line h are parallel. 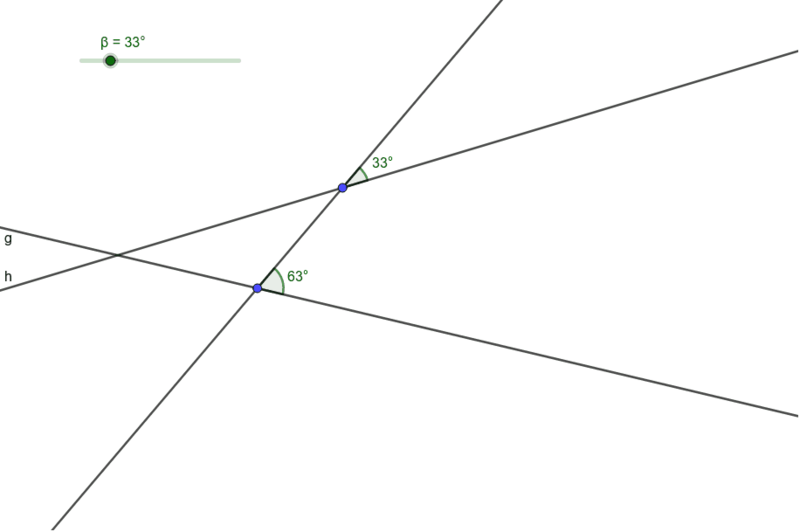 How do you know that the two lines will be parallel? 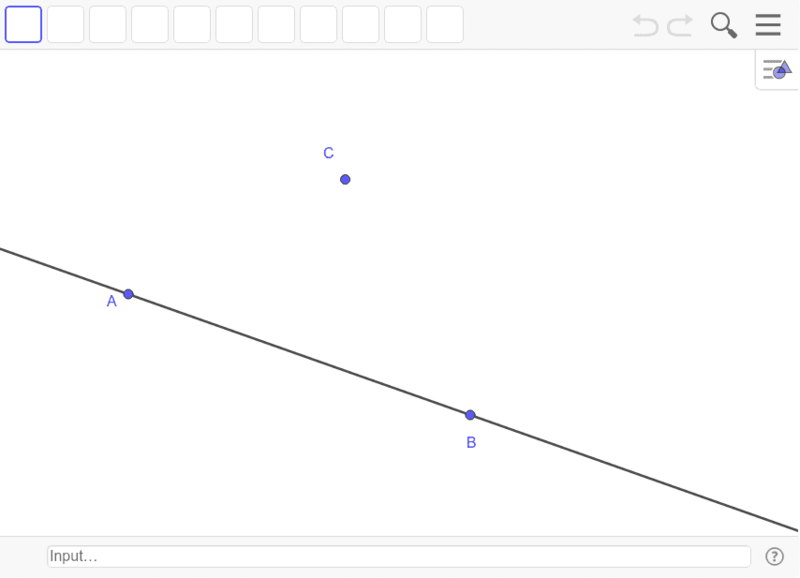 Move the slider so that lines g and h become parallel. 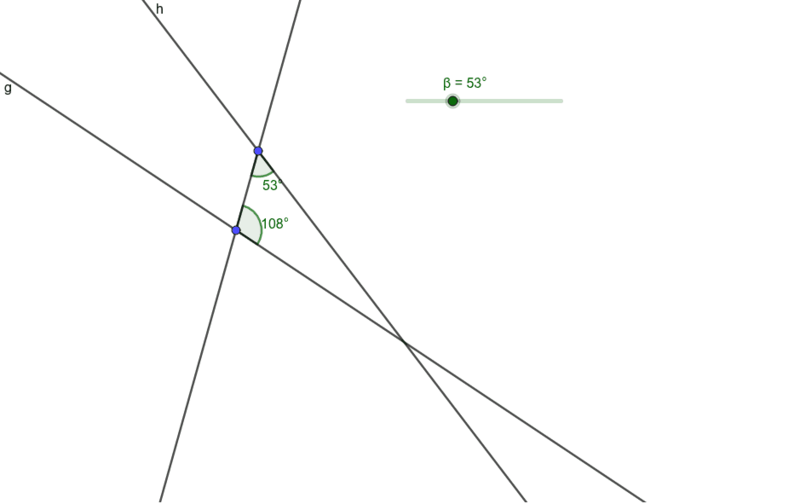 How do you know that lines g and h are parallel? Move the slider so that lines f and h become parallel. How do you know that lines f and h are parallel? How do know that lines f and h will be parallel? 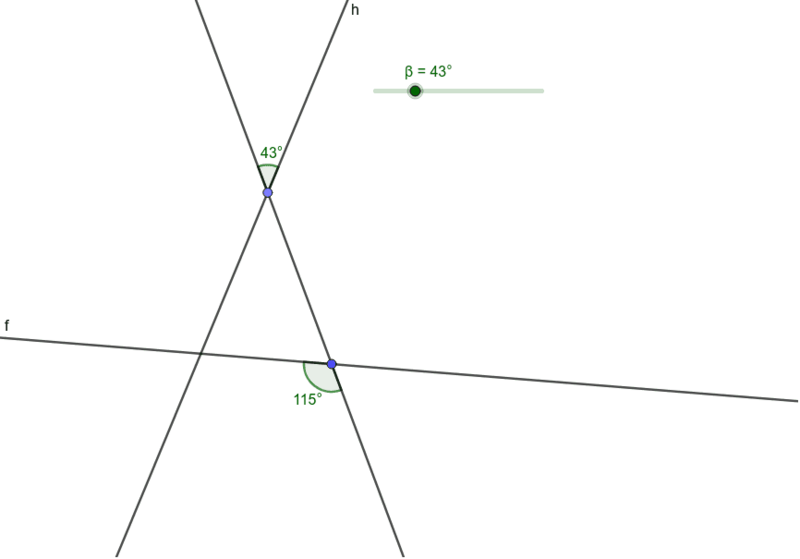 Construct a line that goes through point C and is parallel to line AB.